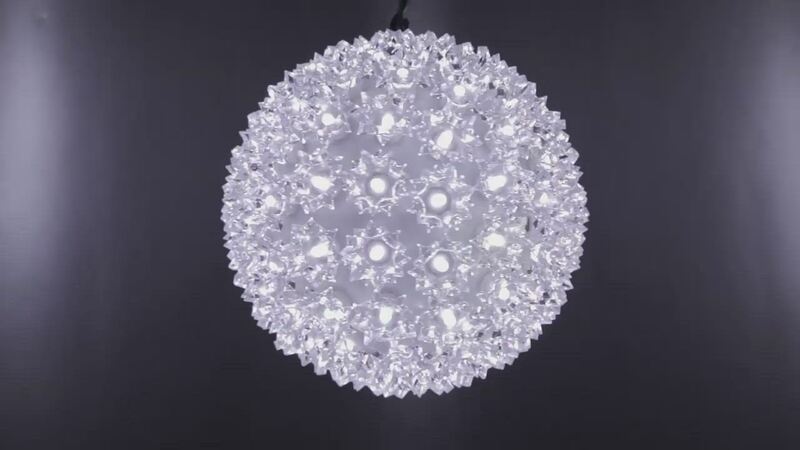 Show-stopping, cool white Starlight Spheres are the ultimate addition to any holiday and party decor theme! Featuring energy efficient, long lasting LED bulbs and a stunning halo of light in a weather resistant, highly durable package, these versatile orbs are a decorators dream come true! Suspend cool white Starlight spheres from tree branches to create the illusion of bright, floating galaxies or hang them above outdoor gathering spaces for unique event lighting any time of year!